The recent news that there is now a Barbie doll based on the American fencer who became the first United States woman to wear the Islamic headscarf while competing at the Olympics is illuminating. Point one. Girls - and perhaps boys, sorry - are still playing with dolls. It seems some things don’t change. I mean, the new range of Teletubbies currently being advertised on television move and crawl to mimic their mini-owners. But we’re still talking about Teletubbies, who hit the spot for my youngest child when he was three - and he is now 25. What next? Spinning tops? Hoops? Whatever happened to egames? Another apology. Egames are a genuine sport, even though you never have to get up off your backside. And of course they are going to be bigger than football and winning an egames gold medal at the 20-something-something Olympics is going to mean as much, if not more, than winning the men’s 100 metres or the women’s marathon. (Quiz question - where does the word “money” fit into the previous question? Clue - after the word "more"). Went a bit off message there, Mr Bach. Promise it won’t happen again until the next time. Anyway, the first hijab-wearing Barbie doll has been released to honour the US fencer Ibtihaj Muhammad, who won an Olympic bronze medal in the team sabre event at Rio 2016 wearing the hijab that marks her faith. Not only that, but the face of the doll has been modelled on Ibtihaj Muhammad. It does no harm to the whole marketing exercise, of course, that she is strikingly beautiful. A Barbie fencer. Now that is quite something. It seems to me that this is bridging the gap to the dolls I used to play with when I was a boy, which were based on doing rather than being. How well I remember those happy hours by quavering gas light! Action Man. He was the American one with a scar. We didn’t like him. Tommy Gunn. Now there was the proper British soldier. You could dress him up as a paratrooper. He had the maroon SAS beret and a canoe and a little knife you could secrete in his sock. 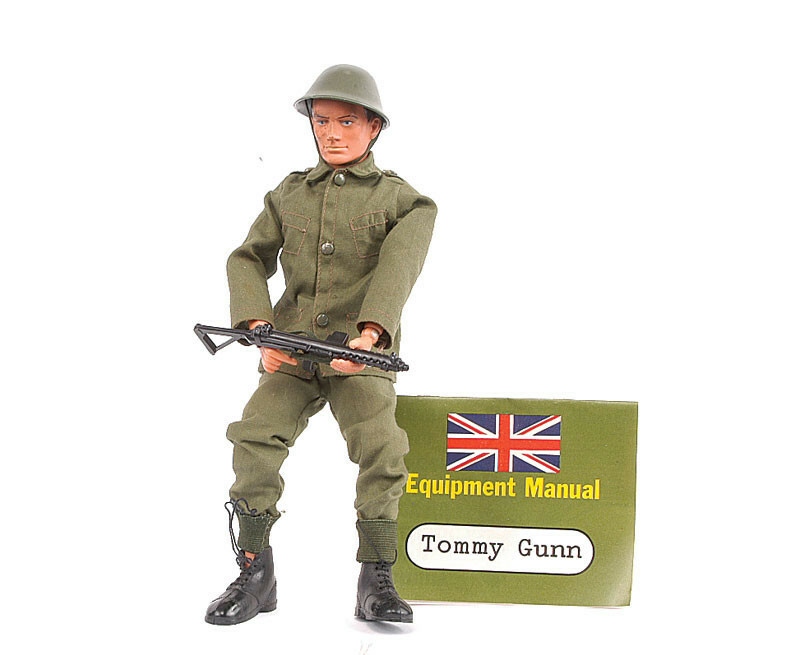 He was ready for anything, was old Tommy Gunn - even if his face had a faintly martyred expression. Perhaps it was a reaction to having his limbs wrenched in so many directions in swift succession. Nobody likes that. Ibtihaj Muhammad has described the new Barbie doll as a "childhood dream come true". Now the maker of Barbie dolls, Mattel, says it is planning to release a range of new figures next year modelled on inspirational women. The latest, hijab-wearing Barbie doll was unveiled at the Glamour Women of the Year summit – and its model was present. "When I think about my own journey, me being a Muslim girl involved in the sport of fencing, there were people who made me feel like I didn't belong," Muhammad said. "For all those people who didn't believe in me, this Barbie doll is for you." Muhammad, who was brought up in New Jersey, said she used to make tiny hijabs as a child out of tissues to wrap around the heads of her Barbie dolls so they would look more like her and her sisters. Could there be any better fact for a marketing department to pick up on? The Barbie designed in her likeness has full fencing gear, including a mask and sabre. It wears training shoes and, of course, has a hijab around its head. No doubt the SAS beret option will be with us soon. Muhammad said she hoped the doll would inspire girls "to embrace what makes them unique". She added: "Today I'm proud to know that little girls who wear hijab and, just as powerfully, those who don't can play with a Barbie who chooses to wear a headscarf..
"She's a Barbie who is strong enough to wield a giant sabre and dedicated enough to spend years working her way to an Olympic medal." Yes, this is all about money, and all about marketing. But is there anything about it which is not positive? If so, I can’t see it. Of course, if this catches on with young people, as it most likely will, it won’t be too long before we can expect Barbie dolls to be looking for a piece of the Olympics action.